Alpacas are friendly, curious, and safe for anyone! 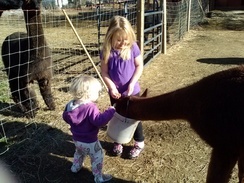 Kids love being around alpacas! 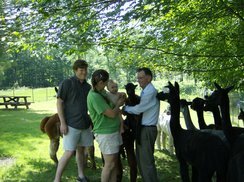 The one very best thing a new breeder should do as they research and begin the process of starting an alpaca ranching operation is to immediately become a member of their regional association and of the national association. There is a mountain of information available at www.alpacainfo.com and here at www.neaoba.org. 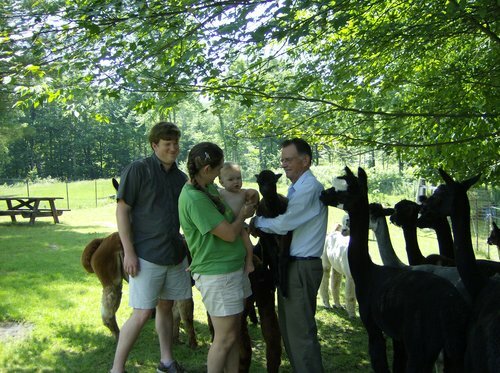 Going to the Alpaca Farming 101 section on this site is like visiting 40 different farms. 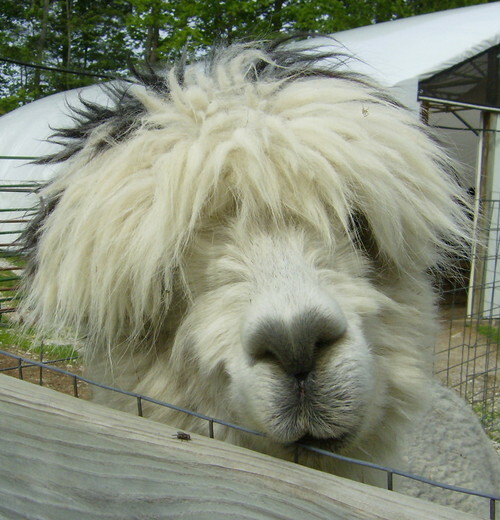 Go to the farm profiles and find out where there are farms near you, call and make a visit to these farms. Check out the events and shows listed on these sites and attend as many as possible. The more relationships you can establish, the more help and assistance you will get.